The Benton Junior High Panthers split two games with Conway White on Thursday at home. The freshman Panthers fell to the Wampus Cats 32-22 while the 8th Grade Panthers were victorious 8-6. In the freshman game, an opportunistic Conway turned three Benton turnovers into 20 points to seal the win. The Panthers lost a fumble on the second play of the game. Conway put together an 8-play, 52-yard drive to take a 7-0 lead late in the first quarter. An interception midway through the second quarter led to Conway’s second score, this one on an 81-yard touchdown run by Keyonte Banks to give the Wampus Cats a 14-0 lead. Benton answered, though, on their ensuing possession with a 9-play, 59-yard drive. Gianni Vannucci scored from 11 yards out and ran in the two-point conversion for a 14-8 Conway lead at halftime. Benton’s third turnover of the game came on their second play of the third quarter and Banks rushed for a 36-yard touchdown on the next play to give Conway a 20-8 lead. The Panthers again responded with a quick 2-play, 66-yard touchdown drive. Vannucci broke loose for a 57-yard run and Andre Lane scored on a 19-yard touchdown to shave the Conway lead to 20-16. Conway, however, answered the Benton score on their next possession. An onside kick attempt by the Panthers went awry and gave Conway great field position at the Panther 24-yard line. Six plays later, Manny Smith scored on a 12-yard run to push the Wampus Cat lead to 26-16. Benton again quickly matched Conway’s score. Lane scampered for a 48-yard run and two plays later, Vannucci found paydirt on an 8-yard touchdown run to narrow the Conway lead to 26-22. Late in the fourth quarter, the Panthers attempted to come-from-behind, but an incomplete pass on fourth down gave Conway the football at the Benton 30-yard line. Three plays later, Smith scored on a 15-yard run to salt away the win for the Wampus Cats. 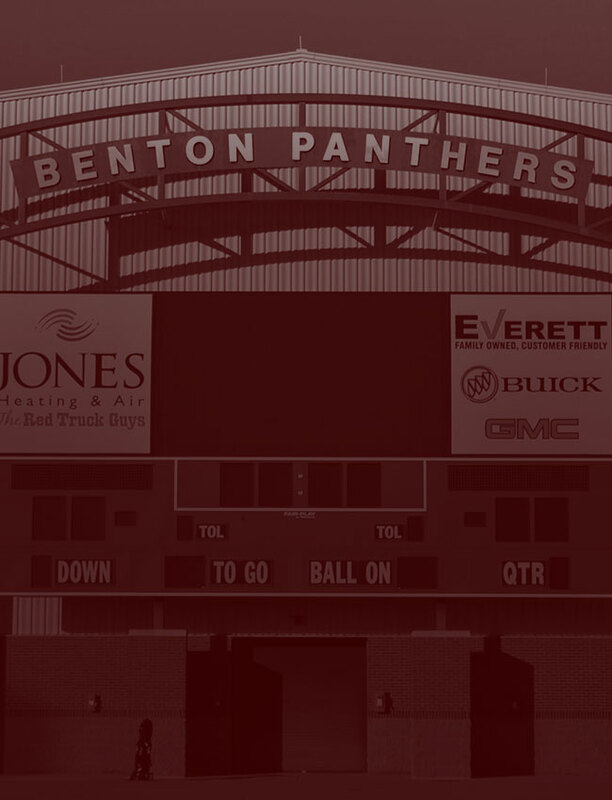 The loss drops Benton to 0-2 on the season, 0-1 in Central Arkansas Junior High conference play. Vannucci had a big night rushing with 132 yards on 12 carries. Lane added 67 yards on just 2 carries. Lane also caught 4 passes for 52 yards. Defensively, the Panthers were led by Andrew Armstrong and Colin Simmons who both had 7 tackles. Luke Ferguson had a sack while Jackson Cobb intercepted a pass on a two-point attempt. The 8th grade Panthers improved to 1-0-1 on the season with a hard fought 8-6 win over Conway White. After a scoreless first half played in a driving rain, the Panthers scored first in the third quarter when Jamarius Morgan took a swing pass from Jack Woolbright and raced 52 yards for a touchdown. Will Pompeo ran in the two-point conversion. Woolbright completed 7 of 9 passes for 148 yards. Morgan caught 3 passes for 55 yards while Brody Blanton hauled in 1 pass for 80 yards. Pompeo led the Panthers rushing (9 carries, 47 yards) and in tackles (9 total tackles). Elijah Harris forced a fumble that Tanner Turner recovered. Patrick Shipp had an interception for the Benton defense. The Junior High Panthers will be at home again next Thursday when they host the Cabot North Junior High Panthers. 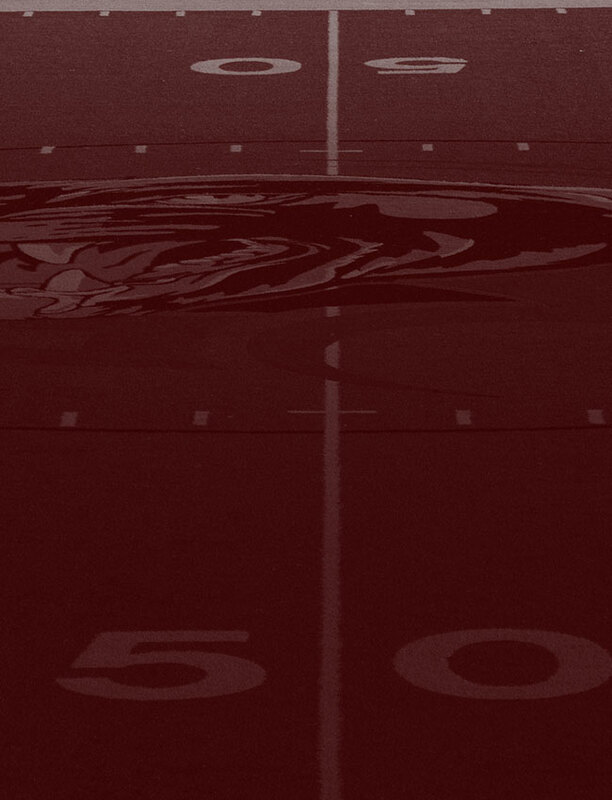 The 8th grade game will kickoff at 5:30 with the freshman game to follow.